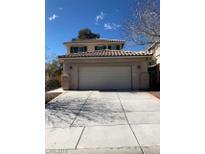 Below you can view all the homes for sale in the Napa Hills subdivision located in Las Vegas Nevada. Listings in Napa Hills are updated daily from data we receive from the Las Vegas multiple listing service. To learn more about any of these homes or to receive custom notifications when a new property is listed for sale in Napa Hills, give us a call at 702-930-8014. Upgraded features include newly installed laminate flooring and overall fresh interior paint. 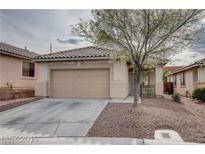 MLS#2083366. Opendoor Brokerage LLC. Recently installed Upgraded vinyl flooring & newer carpet (replaced about a year ago)/Shutters on the windows/Newer SS appliances/ Beautiful desert landscaped backyard with covered patio for your outdoor enjoyment/ Some photos virtually staged MLS#2081500. Urban Nest Realty. Lots of built-in cabinets plus epoxy floor in garage. MLS#2076777. ERA Brokers Consolidated. Close to freeway, shopping. Backyard with low maintenance landscaping. MLS#2078206. Desert Springs Realty LTD.
Property located at center of Summerlin, close to schools, park, shopping, freeway and most attractions, features 3 beds, 2 1/2 bath and 2 car garage, with spacious master bedroom downstairs, loft upstairs with two good sized bedrooms, very spacious backyard with low maintenance desert landscaping, an ideal property for investment, MLS#2078036. Desert Springs Realty LTD. Your Buyers will Love this Lewis Home with open floorplan with lots of windows & vertical city and mountain views.2 master Bedrooms 1 upstairs & 1 downstairs with Loft/Family room upstairs & formal Living & Dining downstairs that opens up to the Kitchen with views of your entertaining rear yard with rock waterfall fountain for your outdoor parties. Vaulted ceiling.A must see MLS#2069011. West Coast Realty LLC. Great Open Floor Plan And Located In A Great Neighborhood! MLS#2066966. Innovative Real Estate Strateg.